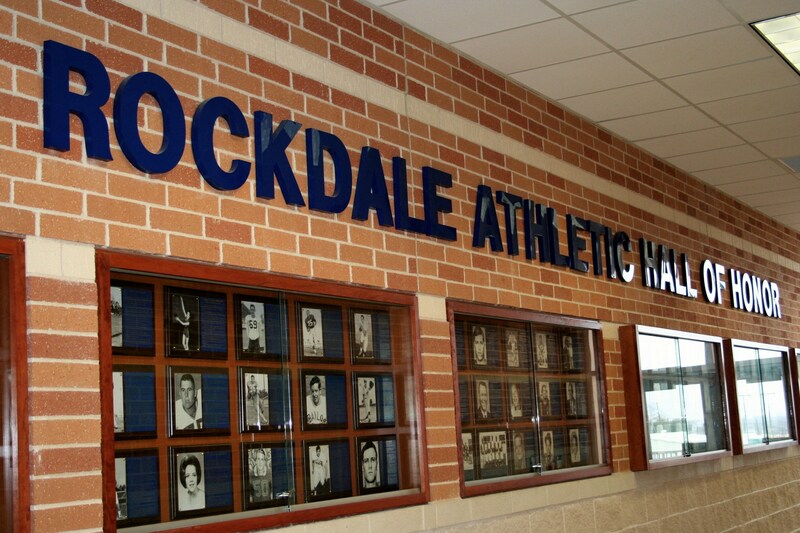 The home of the Rockdale Athletic Hall of Honor is located inside Rockdale High School. The expanded, renovated, three-quarters-new Rockdale High School opened in August, 2009. The Rockdale Athletic Hall of Honor is located at the entrance to the new gym across from the gym concession area. The brainchild of Jeff Miller, Rockdale High School head football coach and Athletic Director, the Rockdale Athletic Hall of Honor was created in 2007 to recognize athletes who have brought honor to Rockdale by their performances at Rockdale High School or Aycock High School and by their character. Each honoree receives a plaque and an identical plaque goes on permanent display in the RHS gymnasium.